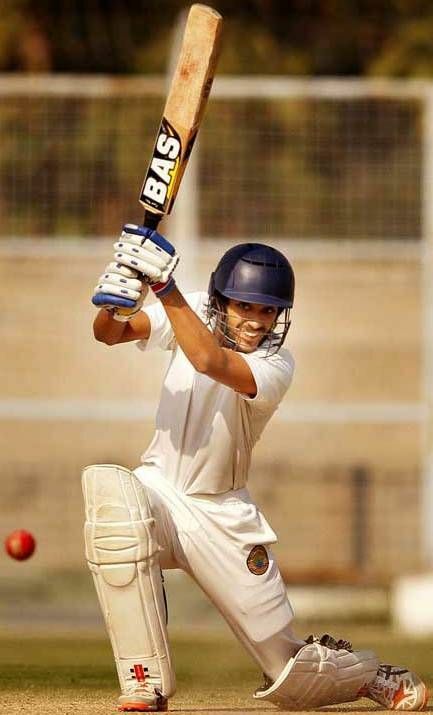 Chaitanya Bishnoi is an Indian cricketer, born on 25th August 1994 in Delhi. Bishnoi is mainly a middle-order batsman. He is a left-handed batsman and bowls part-time slow left arm. Bishnoi made his first-class debut back in 2013. However, his first-class debut did not take place in India but in England. He was representing the Durham Marylebone Cricket Club University and scored an impressive 60 against a Durham team which had future England internationals Ben Stokes and Graham Onions in their lineup. One of the more matured knocks played by Bishnoi was against Hyderabad in the 2016-17 Ranji Trophy. He scored 73 off 202 deliveries and looked set for a big score when he was unfortunately run out. The knock helped his side take a big first innings lead and get an outright victory. He made a fighting 69 off 238 deliveries in the game against Andhra Pradesh in the same season. He could not prevent his side from losing as he eventually ran out of partners. Bishnoi started the 2017-18 Ranji Trophy with a gutsy 56 in the second innings of the opening game against Saurashtra but could only delay his side’s eventual defeat. In the next game against Jharkhand, he made another important 61* off 203 deliveries to help his side post a substantial score of 208. During the 2018 Syed Mushtaq Ali North Zone encounters, Bishnoi scored 65 off 56 balls against a strong Delhi side. He would also make an important 79 against Railways, chasing a score of 273 in the 2018 Vijay Hazare Trophy. The knock would be in a losing cause. Bishnoi is often blamed for not converting his starts into substantial big knocks. Bishnoi has made 11 scores above fifty in 51 first-class innings but has not made a single century which highlights his inability to get big scores. Chaitanya Bishnoi was bought by the Chennai Super Kings in the 2018 Indian Premier League auction. He was bought at the base price of Rs 20 lakhs.